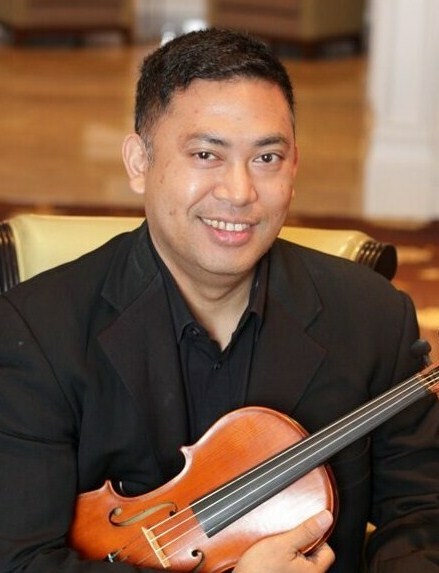 Neil Puzon (Violin), founding member of the St. Charles String Quartet, studied violin with Nancy McAllister at the Wilmington Academy of Music in Wilmington, NC. Mr. Puzon continued his violin studies and chamber music at the University of Maryland at College Park. He has performed at Howard University, Lisner Auditorium, George Mason Center for the Arts, and the Kennedy Center. He performs in chamber music recitals throughout Southern Maryland and around DC. Currently, Mr. Puzon resides in St. Charles, MD and enjoys teaching violin at his music studio. Tara Planeta (Violin) earned her Masters Degree in Violin Performance from Arizona State University in 2003, and has also studied at the postgraduate level. She has been a member of the Roanoke Symphony for over a decade, and has performed with the National Philharmonic, Maryland Symphony, Richmond Symphony, Phoenix Symphony, Arizona Opera, and numerous other regional orchestras and opera companies across the nation. She has also had the honor of working with such stars as Liza Minelli, Wynnona Judd, Art Garfunkel, Aaron Neville, Natalie Cole and many more. As an educator and pedagogue, she maintains a full schedule working with several local schools in Northern Virginia. Ms.Planeta enjoys spending time with her dog, horse, and cats in her spare time. Elizabeth O’Hara Stahr (Viola) holds viola performance degrees from Temple University in Philadelphia, PA and The Catholic University of America in Washington, DC. In addition to serving as principal violist for the Apollo Orchestra, she performs in several premier ensembles including the Amadeus Orchestra, Mid-Atlantic Symphony Orchestra, Richmond Symphony Orchestra, Shippensburg Festival Orchestra, Virginia Symphony Orchestra and York Symphony Orchestra. Elizabeth also has extensive experience with chamber music as a founding member of two professional ensembles and most recently, as a member of the Fairfax Chamber Ensemble from 2012-2014. Her most exciting performance to date was in conjunction with DreamWorks Pictures for the release of the movie The Soloist in the spring of 2009. 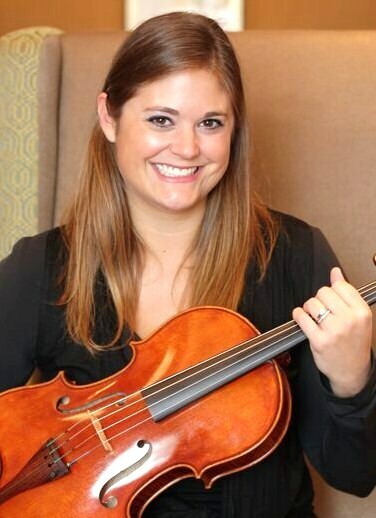 A passionate advocate of music education, Elizabeth currently operates a private violin/viola studio in the Alcova Heights neighborhood of Arlington. She is also the Artistic Director of Crescendo, Arlington Philharmonic’s Youth Chamber Music Program for students in grades 8-12. 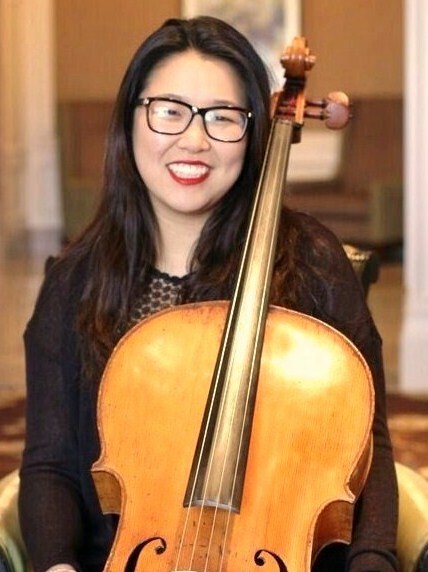 Jihea Choi (Cello) has been performing with the group since 2009 and in 2013 she joined as the primary cellist for the group. She has studied at Catholic University, Northern Illinois University, and University of Maryland. Jihea performed on Millennium Stage at Kennedy Center from 1998-2000 and currently performs with Fairfax Symphony. Jihea has also played with Prince William Symphony Orchestra, Lancaster Symphony Orchestra, Illinois Valley Symphony Orchestra, and Rockford Symphony Orchestra. Jihea has also participated in the National Orchestra Institute and the National Symphony Orchestra Summer Festival programs. Salvatore Amadeo (Violin) – is an active performer with a Bachelors in Violin Performance from Catholic University, and a Masters in Violin Performance from University of Maryland, College Park. He has a rich musical pedigree, having studied under Luis Haza, Elisabeth Adkins, Jonathan Carney, Daniel Heifetz, Pamela Frank and Ilya Kaler. Salvatore has performed as a recitalist, soloist, chamber artist, and with orchestras throughout the United States and tours in Europe. He is currently serving as Concertmaster for the Apollo Orchestra and the Opera Camerata of Washington, and is also an active composer operating a composition/arrangement publication. 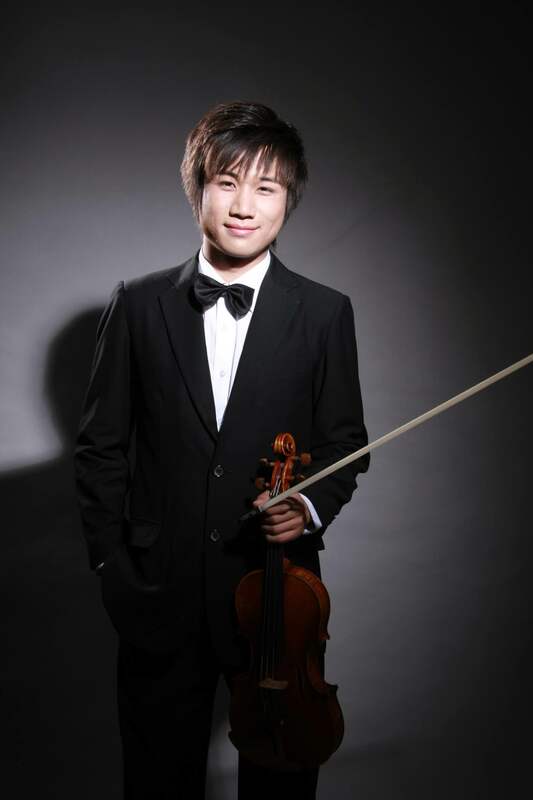 Jian Song (Violin) is a native of China where he received his Bachelors Degree, and he is currently pursuing a Masters Degree at Shenandoah Conservatory. Jian has performed with many symphony/opera orchestras, as well as collaborated for recordings. He was worked with Christoph Eschenbach and LangLang, as well as other talents, and is presently Concertmaster of the Shenandoah Symphony. Carol Brobst (Violin/Viola) of Brobst Violin Shop, has enjoyed a long career both as a modern and baroque violinist/violist. She has performed with many East Coast baroque, symphonic, and choral ensembles, including Opera Lafayette, Washington Bach Consort, Bach Sinfonia, Modern Musick, ArcoVoce, Richmond Symphony, and National Gallery Orchestra. Ms.Brobst has also participated in several early music ensemble recordings and baroque performance practice masterclasses. Jennifer Murray (Viola) has established herself in the D/M/V area as an exceptionally versatile and eclectic artist. Classically trained, she has a strong passion for teaching strings, performing chamber music, performing in orchestras and is an active composer and arranger for string ensembles. Other performance ensembles include New England Chamber Ensemble, Ensemble du Monde, Columbia players’ quartet and Prince Georges Philharmonic. She has also performed with various artists: Common, Mark O’Connor and Alison Krauss. Murray holds a Bachelor of Music from the Hartt School of Music in Viola Performance and a Master of Music degree from Boston University. Kirill Romanov (Cello) began his cello studies at the Gnesiny Music School in Moscow, and continued his studies at the Moscow Conservatory. He studied chamber music with members of the Julliard String Quartet, and has earned first place at the Cogen Concerto Competition, as well as the American Arts Festival in New York City. Mr. Romanov has performed at the Kennedy Center Terrace Theater, and the Weill Recital Hall at Carnegie Hall. Currently Mr. Romanov resides in Rockville, MD and enjoys performing original vocals and acoustic guitar with his band, Force-Major. 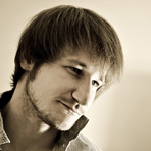 Zachary Whitaker (Cello) is a graduate of Shenandoah University with a Bachelor of Music in Cello Performance. Currently, he is studying both Performance and Pedagogy at the graduate level at George Mason University with Professor Amy Frost-Baumgarten. Zach has performed in numerous ensembles, including the Loudoun Symphony Orchestra, Pro Arte Chamber Orchestra, and most recently the Zelda Symphony.